Mosaics are designs or pictorial representations made using small pieces of colored stone, marble or a glass specially manufactured for the purpose called tesserae. In the Roman period, these materials were pressed into grout, a soft cement , then left undisturbed until set. The gaps between the stones were then filled with cement, the composition was then cleaned and polished. Mosaics were popular in ancient Rome, covering floors, walls and fountains, including those spewing water in household gardens. Roman mosaicists could make such detailed mosaics that the works looked like paintings. Indeed, mosaicists often made mosaic copies of earlier Greek works. Besides copying Greek paintings, mosaics often carried geometric designs. Sometimes these designs were used as frameworks for detailed compositions, commonly of everyday life such as a garden. Mosaics also depicted gods and goddesses. The use of emblemata made mosaic installation faster. An emblemata was a sort of prefab, detailed mosaic piece made in a workshop, then taken to work sites to be installed within a simpler background mosaic. Romans carried their love of mosaic throughout the lands they conquered. The best mosaicists tended to stay close to home, since examples in Rome are more sophisticated in design and technique than those in the more distant reaches of the Empire. 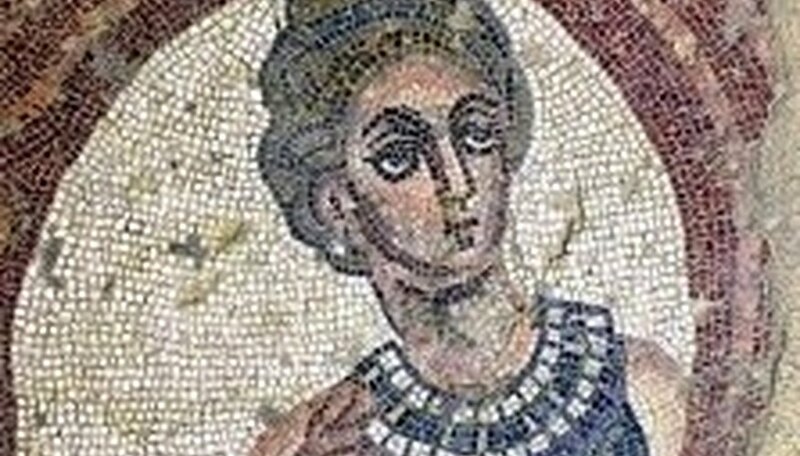 Mosaicists used shading to achieve three-dimensionality, as well as foreshortening, a technique that causes features in a painting, say, a leading arm, to appear closer than its partner. Elements like shadow and light were employed to make a mosaic appear as real as possible.